The Chancellor Philip Hammond presented the last Spring Budget on Wednesday 8 March 2017. In his speech the Chancellor was keen to point out that he wanted the tax system to be fair, particularly in relation to the distinction between employed and self-employed individuals. 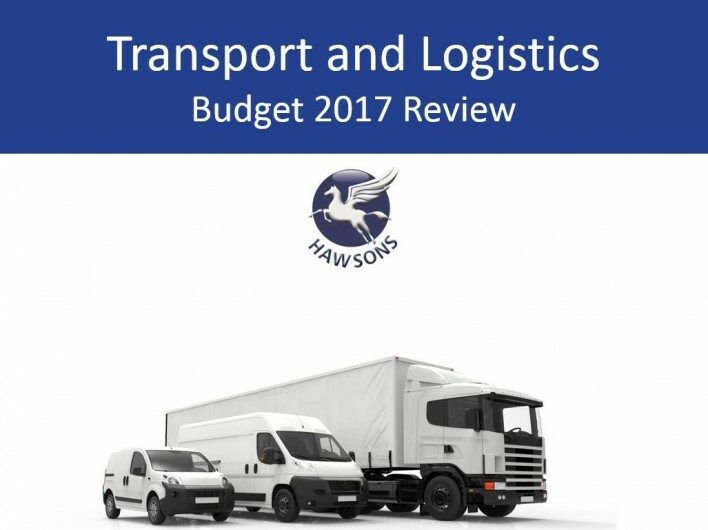 In this article, we look at how the Chancellor’s Spring Budget impacts the transport and logistics sector. In the Budget speech the Chancellor announced that he has requested a report to be delivered in the summer on the wider implications of different employment practices. Also, the Budget included changes to NICs and the Dividend Allowance. In December and January the government issued a number of the clauses, in draft, of Finance Bill 2017 together with updates on consultations. The Budget updates some of these previous announcements and also proposes further measures. Some of these changes apply from April 2017 and some take effect at a later date. Our summary focuses on the issues likely to affect you and your business. increases to the Class 4 National Insurance rates – Update 15/03/17 – Chancellor withdraws plans to increase NI. changes to the timing of Making Tax Digital for smaller businesses. changes for non-UK domiciled individuals. Read our in-depth 2017 Budget key details and summary here. Increase in National Insurance Contributions (NICs) – Update 15/03/17 – Chancellor withdraws plans to increase NI. A relatively quiet Budget for the sector? It certainly seems so. The two biggest headlines from the Budget came in the form of the NIC rates, the first being that they were increasing; and the second being the Chancellor withdrawing the increase a week later. Class 2 NICs are currently paid on profits of £5,965 or more and Class 4 NICs at 9% are paid on profits between £8,060 and £43,000 (and at 2% on profits over £43,000). Class 2 NICs are to be abolished from 2018, but the main rate of Class 4 NICs was to increase by 1% to 10% in April 2018, and then by a further 1% in April 2019. Only the self-employed with profits above £16,250 would have been adversely affected by the new rates, However, as previously stated, these will now not be going ahead. By Autumn 2017, £490m of a £690m fund will be available for councils to improve local road networks and reduce congestion. £220m has been allocated in order to improve congestion pinch points on national roads. £90m of this is to be allocated to the North, and more than £23m for the Midlands. This measure was previously announced in the 2016 Autumn Statement and full details of individual schemes funded by this initiative will be announced in due course. Yorkshire and the North East will benefit from a £30m upgrade of the A69 between Hexham and Newcastle as well as £14.8m invested in enhancing seven congested junctions, along with a further £18.2m on other “areas to be identified shortly”. In the Midlands, four schemes worth £9.9m will reduce queues at Old Stratford and Ogley Hay on the A5, junction 3 of the M42 and junction 27 on the M1. The Chancellor also announced a £270m fund to keep UK at the front of disruptive technology, including driverless cars and helping the development, design and manufacture of batteries that will power the next generation of electric vehicles.